We all are pretty much aware of the popularity of marble. A perfect choice for interior decoration and architectural designing, marble has known to be used for constructions purposes since ages. It is used outdoors, as well can be seen in kitchens, bathrooms, living rooms and even in bed rooms. With its enticing shades and unique surface patterns that simply add to its beauty, marble is a highly popular construction material all across the globe. Marble countertops are most selling but they are prone to stains and spots. Marble from India is highly acclaimed all over the world, not just because of their shades and design patterns, but for its superior quality. No other example would be better than the world-famous Taj Mahal to substantiate the impeccable quality of Indian marble that had been brought from the Makrana region of Rajasthan in India. Incidentally, if you are really impressed with the fineness of this amazing natural stone from India, the ultimate suggestion is to get the same from only an Indian marble manufacturer and supplier from India that holds a global reputation for its customer service and product quality, so as to avoid any hassle during the transaction process. Fortunately, you don’t have to ferret around a lot for a genuine marble supplier and exporter from India. Regatta Exports is one such destination, where all your marble searches halt. Offering a range of marble variants in brown, green, golden and pink shades, Regatta ensures safe transportation and timely deliveries of product in any corner of the world. Unarguably, marble adds some sort of elegance and sophistication to any decor; be it in the bathroom or kitchen. Although it is quite strong and durable, it still requires a little extra care so as to keep it intact and to ensure its longevity. This is because marble is relatively porous and can absorb nearly every fluid; even water. Moreover, liquids, such as juices, coffee and wine are comparatively harsh on marble surface, and so, their stains must be removed as soon as these fluids fall on the marble countertop surface. 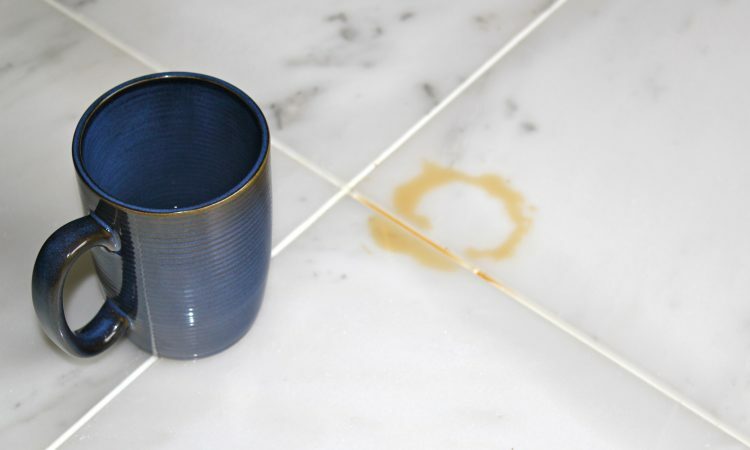 Since almost any material can cause discoloration of marble, immediate action is imperative. Well, even after too much of care, if your marble gets stained, then there is no need to fret about much! All you need is to follow some simple tips that can help you remove marble stains easily and restore the graceful looks of your marble. Rubbing Alcohol: This method works well in cases of light stains or when you have recently delayed the resealing marble. For this you can use a spray bottle or atomizer filled with a mixture of 1/8th cup of rubbing alcohol, water and some drops of dish soap. Shake the spray bottle well and directly spray the liquid mixture on to the affected area of the marble. This would not only remove the stains, but would also bring gloss to the marble surface. Corn Starch: If the stain has turned hard and firm, make use of a spray bottle to apply a few drops of distilled water on the affected area. Now, coat the wet stain with a layer of corn starch and let it rest for at least 24 hours. If necessary, you can consider repeating the procedure. For grease stains, you can instantly apply a layer of corn starch on the stained area. Thereafter, with a water-based mild soap solution, you can clean the stain after 15 minutes. Hydrogen Peroxide: In this method, you need to be a little cautious, since peroxide can significantly lighten any light-colored marble. So, it’s better to test it on a small, less-prominent area of your dark-colored marble, before actually trying the method. Begin by cutting out a small piece of gauze of the size of the affected area, and soaking it with peroxide. Make sure that the gauze shouldn’t be dribbling with peroxide, and is just wet. No put the pad on the stained area, and temporarily fix it with a tape or plastic wrap. Now, putt a heavy weight on the gauze to exert some pressure on the same, and leave it untouched for a minimum duration of 24 hours. Repeat the procedure, if you still find traces of the stain. Baking Soda: It is a general recommendation to blot or wipe off as much liquid as you can, as soon as it spills on the marble surface. Next, prepare a mixture using water and baking soda. Keep mixing the two until you attain the consistency of a sour cream. Spray water on to the remaining spill followed by the application of the baking soda paste. Now cover the surface, where the paste has been applied using a plastic wrap for a whole day, so as to allow baking soda to dry completely. This process is likely to pull off the stain, but its repetition might be required. Flour and Liquid Soap: Mix a cup of unbleached flour with 3 tablespoons of mild dish soap in a bowl. Add a generous amount of water to develop a paste. Now, apply the paste on the stained section of the marble and cover it completely with a plastic wrap. Let it rest for a period of 24 hours. This will pull the stain off the surface. Finally, wash the surface using a soap solution. The above-discussed tips are quite simple, but highly effective. And, the best thing is that these methods are pretty cost effective and can be performed using stuffs that are easily available at home. Nevertheless, just like marble care and handling, you need to be heedful while performing any of the aforementioned methods. With these effortless tips, you can be assured of shiny appearance of your marble installations for a longer period of time.